Working with a team that had very little going for them, Arif tried his best. He tried to raise awareness of the problem, he tried to help the team improve, he raised obstacles to management. Was that enough? 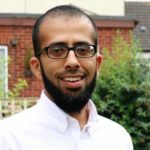 Listen in as Arif describes his journey in an impossible situation, and explains why – sometimes – you need to get fired as a Scrum Master otherwise you are not doing your job! In this episode, we discuss the GROW model of coaching. Arif is an experienced Scrum Master with a passion for enabling teams to achieve their potential, Arif loves challenging situations. In the last 5 years, he has been made redundant twice and fired twice. He is not afraid of speaking up when he sees anti-patterns and/or a lack of willingness to change behaviors. You can link with Arif Bobat on LinkedIn and connect with Arif Bobat on Twitter.